As of this writing the water is way above even summer pool, and a LOT of debris is in the water. But despite the high and muddy water fish are still being caught. I haven’t ventured out much, choosing to rest my back after a bunch of Radio Frequency Ablations in February. Suffice it to say that it’s kinda like sticking a knitting needle into your spine. I must be getting old to be talking about all that! 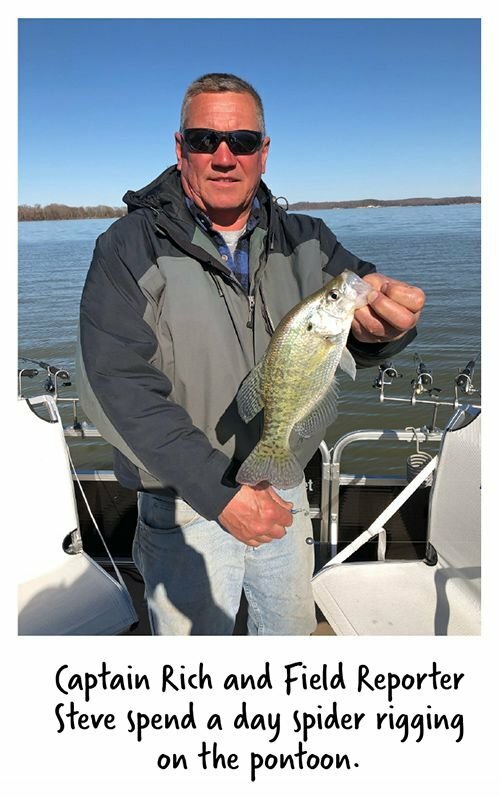 Fishing has been tough but crappies and other species are being caught. 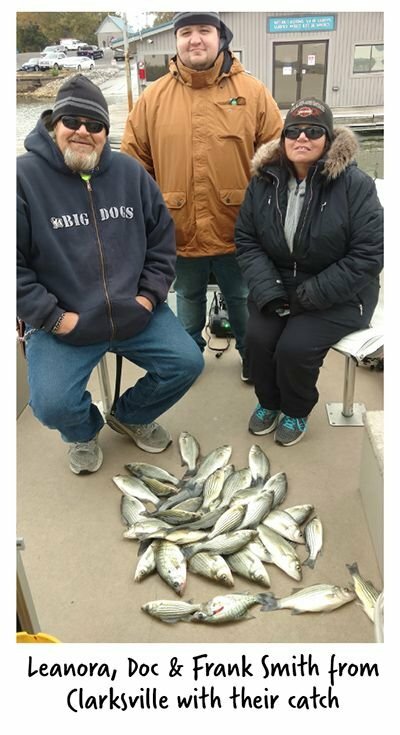 Field Reporter Steve and I have been fishing a bit together and have caught mostly white crappies but an occasional black crappie too. They will drop the water back down as soon as they can. I hope it is before the spawn. If you are fishing the north end of Ky Lake stop and say hey. The water level has stabilized at 364.40. 10 feet over normal for this time of year and dangerous out there. Water has been very murky with a lot of debris floating but because of the dark water the temp has been up to 58 degrees in the afternoon. Remember, it isn’t the logs floating that you can see that will ruin your day. It is the water-logged junk just under the surface. Always use your GPS map for traveling on the lake. We have been spider rigging lately because of low water temps and muddy water. Most fish we have caught are suspended WAY up in the water column. 8-foot deep in 16 feet of water has been best for us. Been fishing the bays because the main lake cur-rent and wind has been rough. Jigs with a crappie nibble have been the ticket. The Crappie Hut Jig in red, white and blue—The Patriot—was great last year and on fire again this year. Check below for a report about a great product. 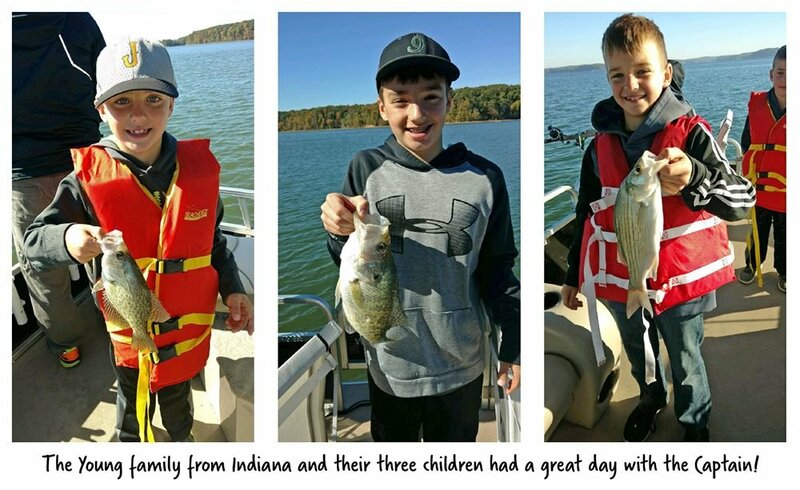 Their Dragonfly colored jigs with a Jenko Big T Fry Daddy body in Blue Grass color has been good also. Going to be tough for a spell but hang in and hang on. Several smaller gills have been caught but not much of size to them. I have started spider rigging with jigs from a new company, Crappie Hut Jigs, www.crappiehutjigs.com is their website. They are a local couple that hand tie their own jigs! 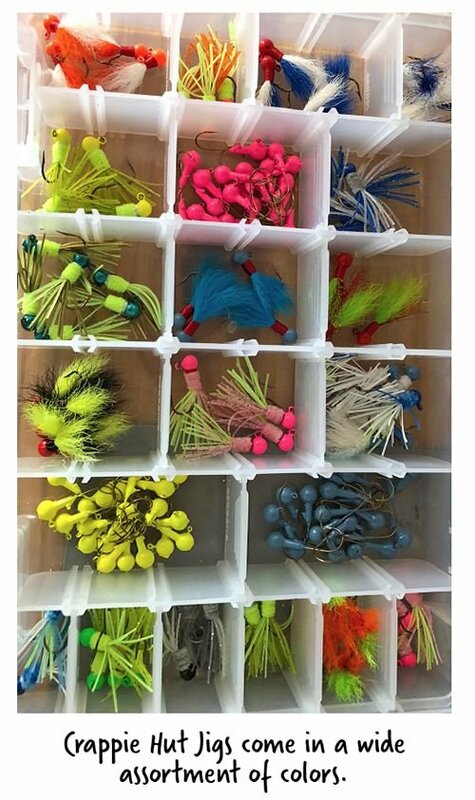 I’m telling you these look great…and they catch fish! My favorite and best crappie catching jig has been the Patriot. A red, white and blue Wooly Bugger. 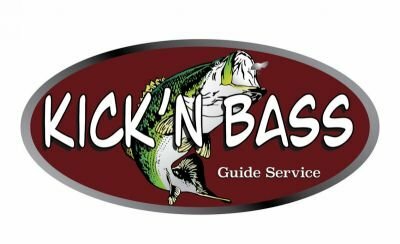 Tip with a crappie nibble or minnow and hold on. They sell a vast array of colors and types and they also hand pour all of their own jig hooks. An assortment of colors and sizes with light wire hooks for all the plastic style baits. They also clear the paint out of the jigs eye. I won’t buy a jig with paint in the eye. 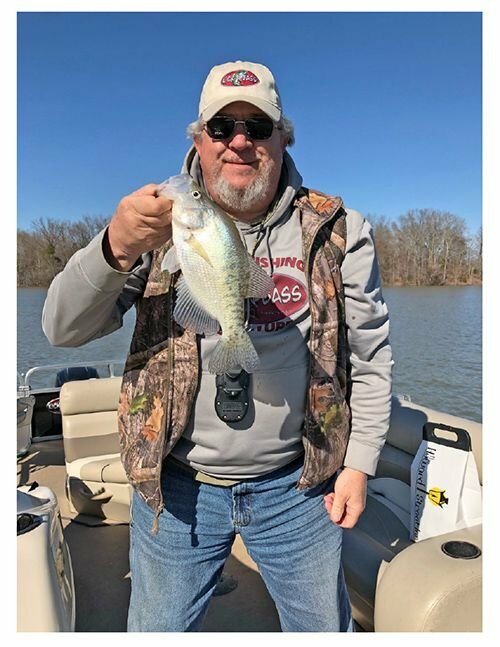 Give Crappie Hut Jigs a try…you won’t regret it!